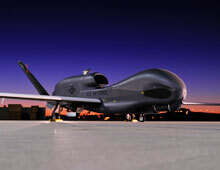 Northrop Grumman, is a leading global security company providing innovative systems, products and solutions in unmanned systems, cyber, C4ISR, and logistics and modernization to government and commercial customers worldwide. Aerospace Systems: Northrop Grumman Aerospace Systems is a premier developer, integrator, producer and supporter of manned and unmanned aircraft, spacecraft, high-energy laser systems and microelectronics critical to maintaining the nation's security. Electronic Systems: Northrop Grumman Electronic Systems is a leading developer, manufacturer, integrator and supporter of a variety of advanced electronic and maritime systems for U.S. and international customers for national security and non-defense applications. 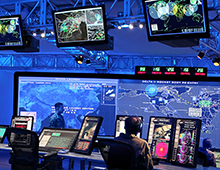 Information Systems: Northrop Grumman Information Systems is a leading global provider of advanced solutions that deliver timely, enabling information to where it is needed most for its military, intelligence, civilian, state and local, and commercial customers. 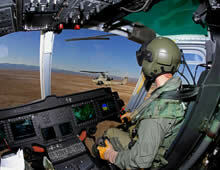 Technical Services: Northrop Grumman Technical Services is a global provider of innovative, cost effective solutions. From sustainment and modernization, supply chain management, training and simulation, and high technology services.